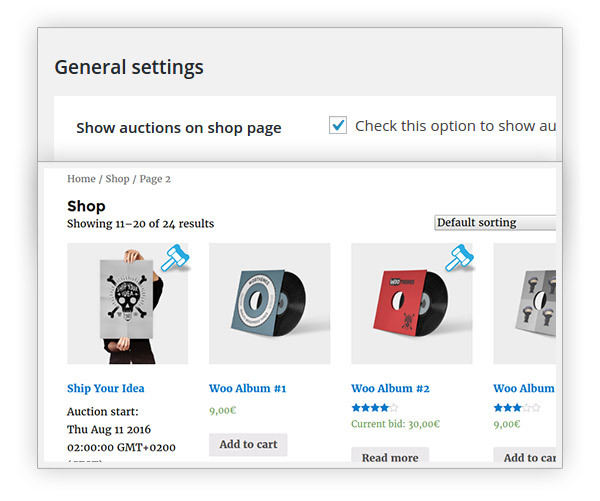 Do you know what an online auction is? 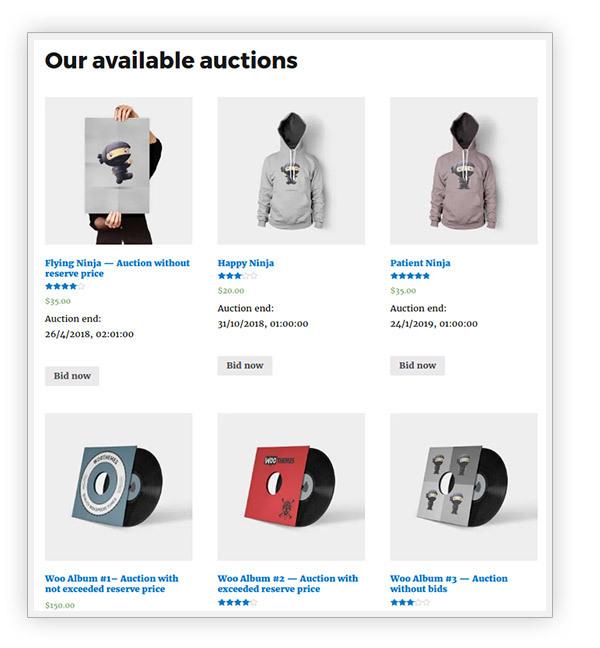 Users who are interested in auctions are moved by the chance to get items at low prices and motivated to make a bid which in most cases turns into an immediate raise as soon as they are outbid. 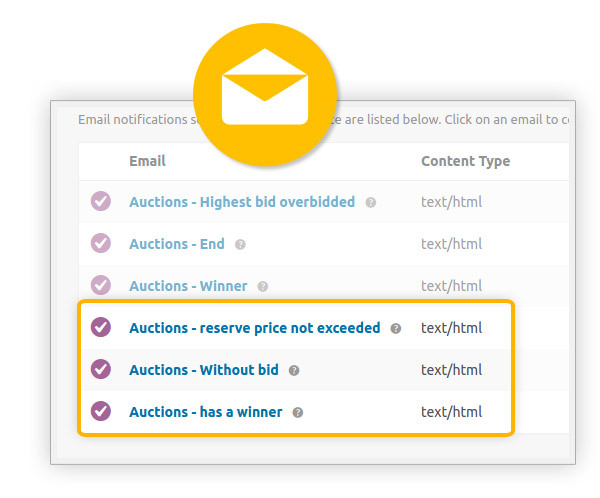 Fix: Send multiple emails when the auction is in overtime.  Fix: URL encode to prevent redirect error. 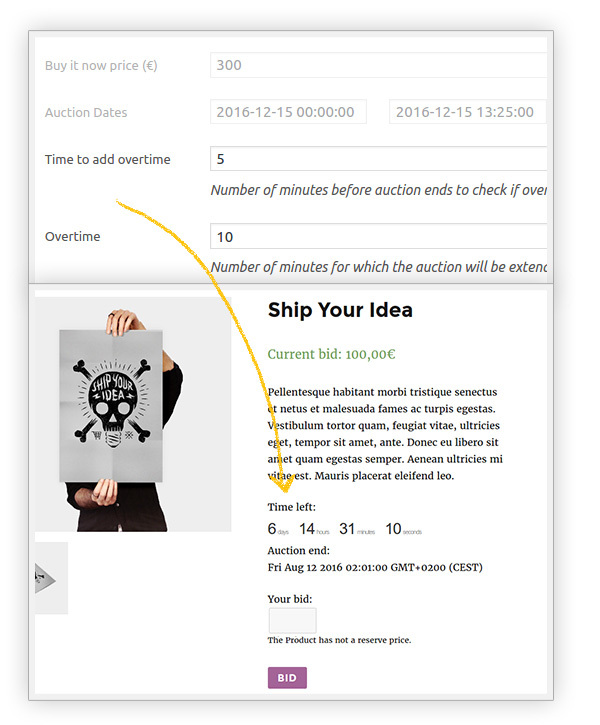 Fix: count auction product in shop loop. 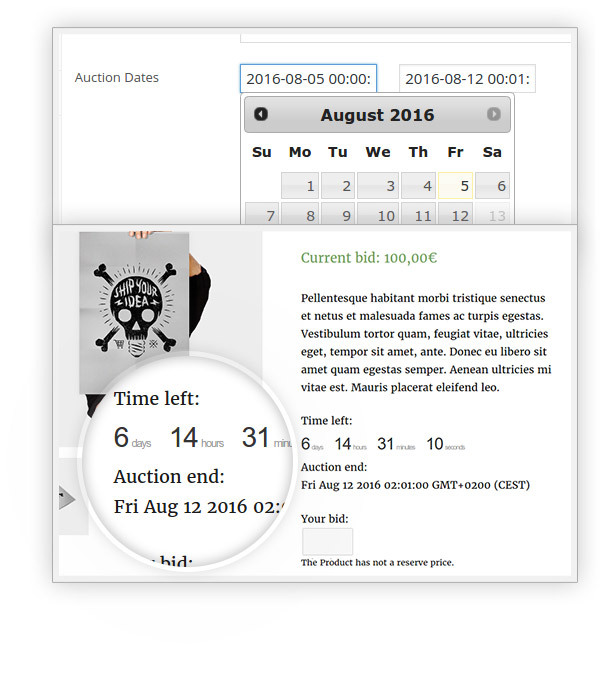 Fix: show pay-now button when an auction is rescheduled. 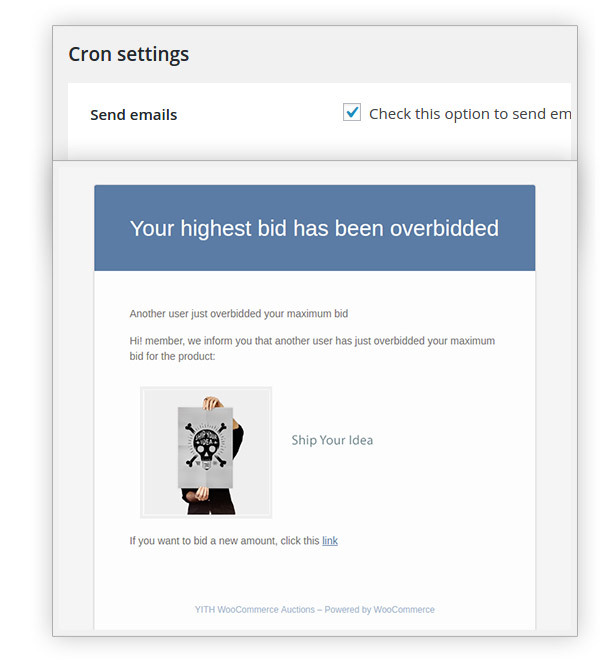 Fixed: Problems with pay-now button in winner email when users are not logged in. Fixed: Problems with product text link in winner email. 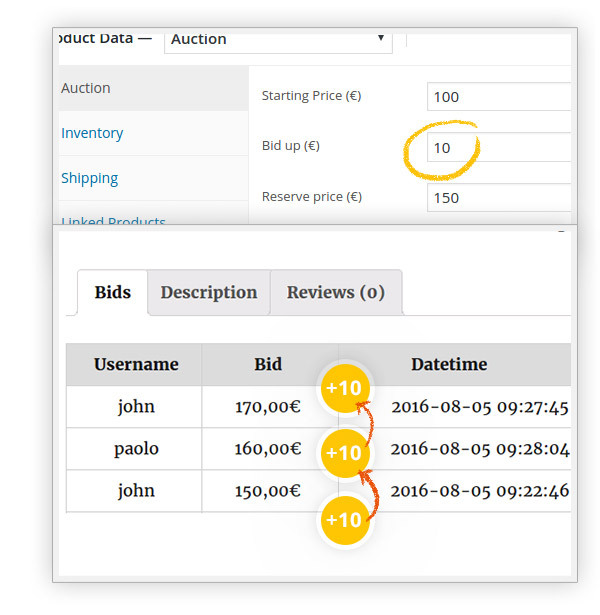 Fixed: Problems when not exist reserve price in auctions with automatic bids. Fixed: Problems with the translation. 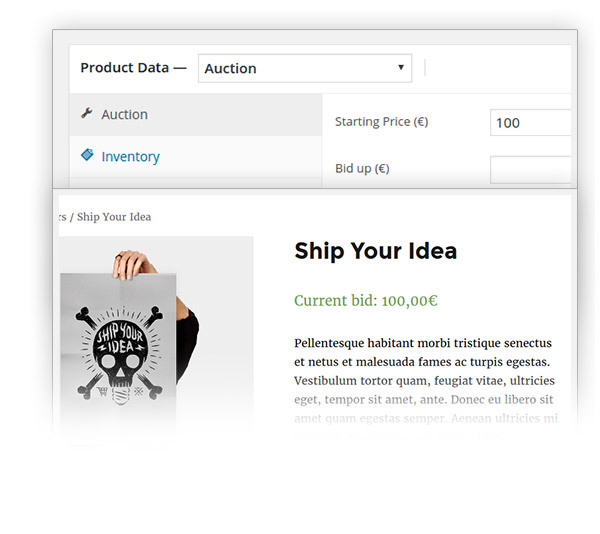 Pre-authorization is a must-have featureI bought this plugin convinced that it was possible to authorize the user's card at the very moment they make a bid, and then charge only the auction winner, but this option is not supported. I can use the plugin, however, yes, but it's missing an important feature. Adding it would really make THE difference! 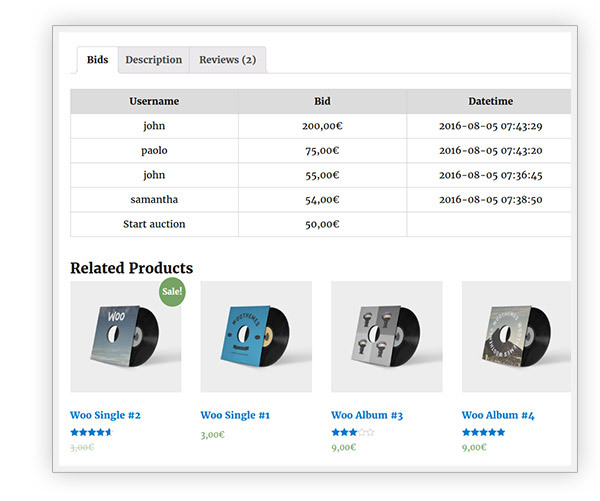 EccellenteSto creando il mio sito WP di aste e questo plugin funziona alla grande finora. 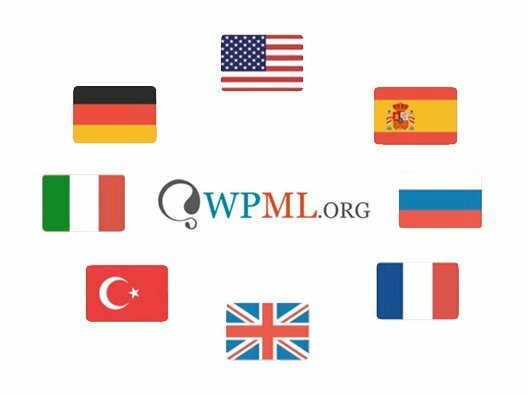 Ottime funzionalità, completo, un servizio assistenza d'eccellenza e anche in italiano. MAGNIFICO! and thanks for your suggestions. 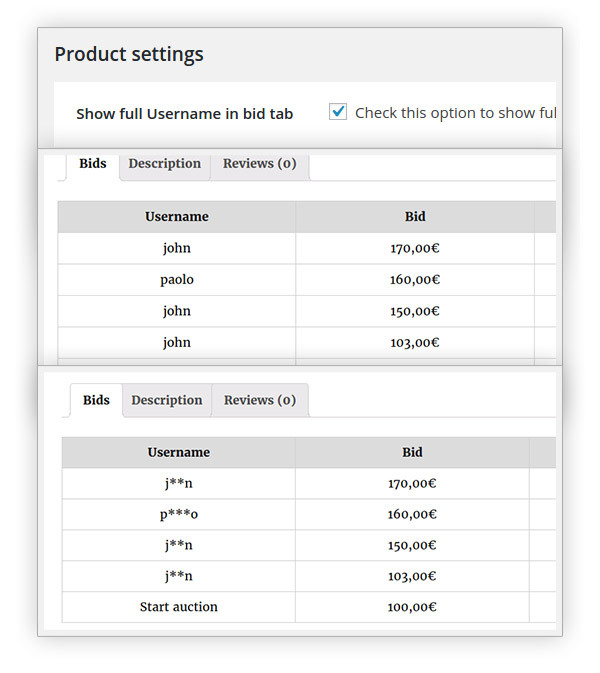 At the moment, we can't add a reverse option to the plugin, but we will consider your precious feedback. 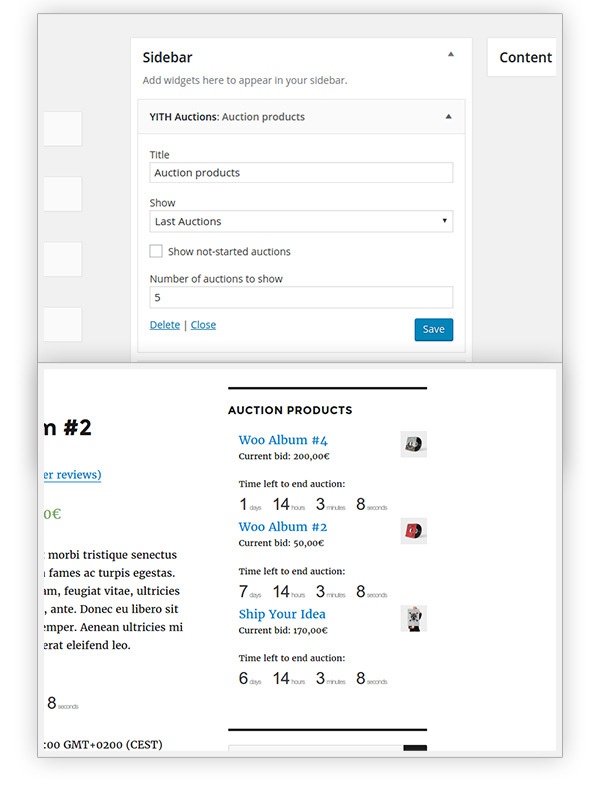 The same applies to the integration with YITH Product Add-ons, we will pass your feedback over to the plugin developers so they can consider this for future improvements. 1. Remove the winner from the auction. This way the second person in the list will become the winner. 2. Send the winner email to the new winner. Hi, Damian! 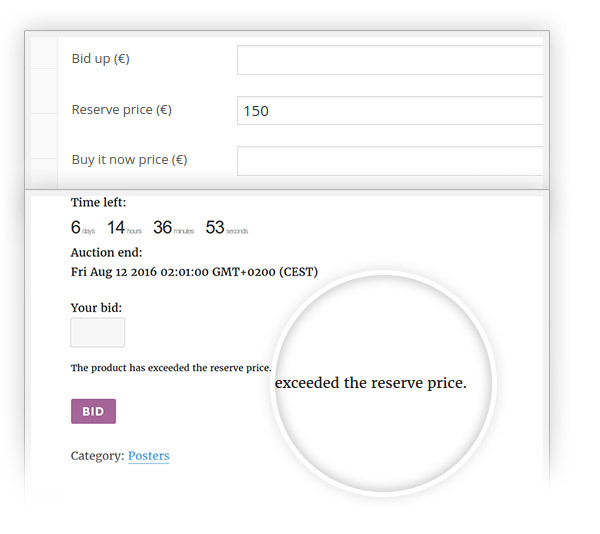 The plugin has an option to postpone the expiration if someone makes a new bid some minutes before the auction ends. For further details about this feature, you can refer to this section of the official documentation. 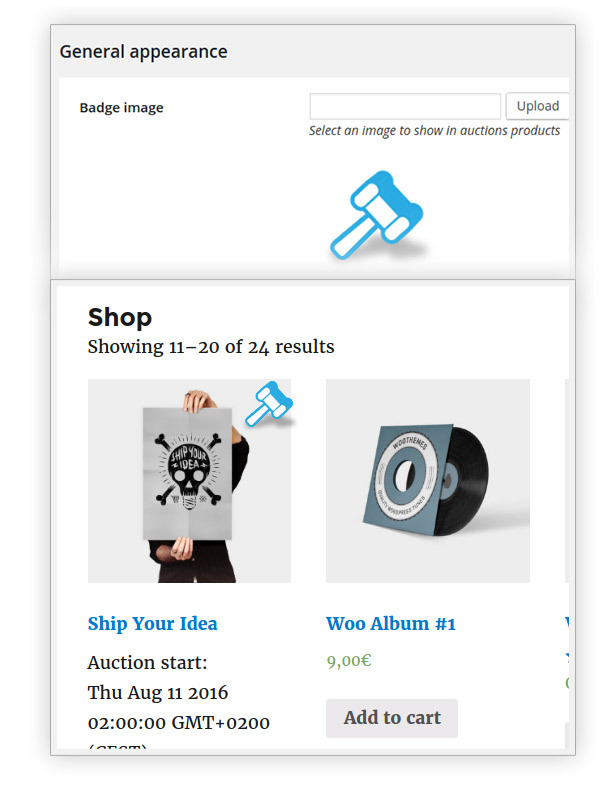 yes, you can see the current higher big just below the product when it shows on the Shop page. You can see how it looks like here. 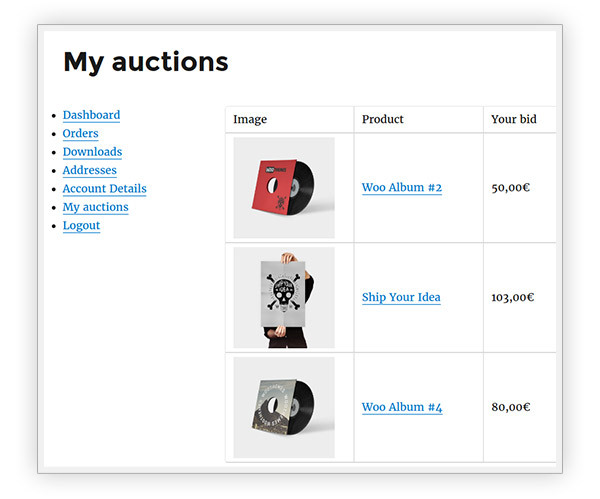 Also, if you open the product page, you can see all the bids that have been posted so far, as you can see on this sample product. if the winner doesn't pay, there is no problem. 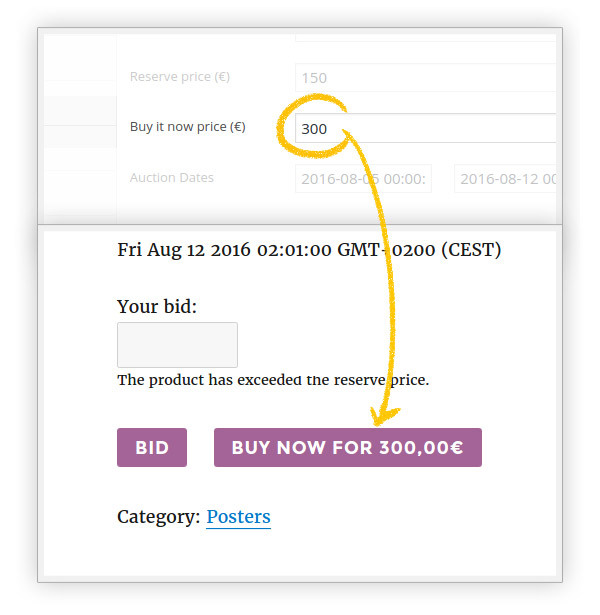 The admin can schedule again the auction or remove the top bid auction and the second highest bid will be the auction winner.